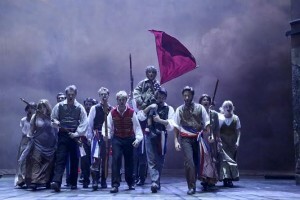 Les Miserables has been one of the world’s most beloved musicals since its English language debut in London in 1985. It has been performed in 42 countries and is currently having its second Broadway revival while the original 1985 production still ranks as the fifth longest running Broadway musical. McCoy Rigby Entertainment is currently presenting the Los Angeles Regional Theatre Premiere at the La Mirada Theatre for the Performing Arts through June 22. 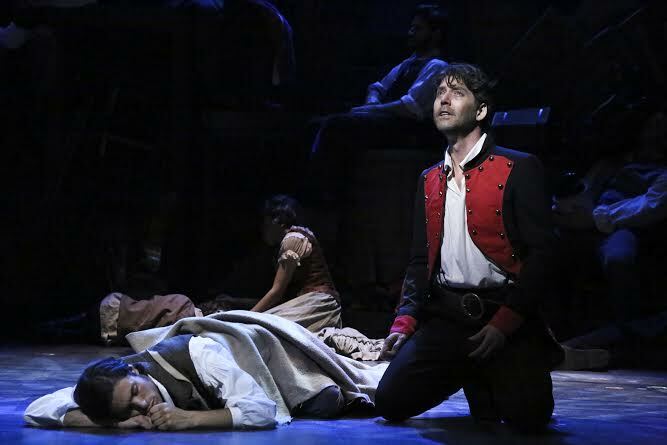 The strength of Les Miserables has always been the emotional pull of the classic novel by Victor Hugo, brilliantly interpreted to the musical format by composer Claude-Michel Schonberg with the original French lyrics of Alain Boublil translated into English by Herbert Kretzmer. The score is in great hands under the baton of Musical Director John Glaudini who leads his fourteen-piece orchestra through this sung-through musical. Brian Kite’s direction keeps the action flowing smoothly. Steven Young does his usual superb job of lighting the stage action. The large cast is filled with magnificent voices that really sell all the big solos in the show while the choral numbers sound heavenly. The cast is headed by two men at the top of their game. James Barbour has a well-deserved reputation for bringing broody literary characters to vibrant life on the musical stage. To his roster which includes Edward Rochester and Sydney Carton, he can now add Jean Valjean. The score finds his voice’s sweet spot with the result being undoubtedly the best Valjean this reviewer has ever seen in about eight productions since 1988. His emotional connection to the material adds even more depth. “Bring Him Home” was the standout it always is but every time Barbour sang was a highlight. 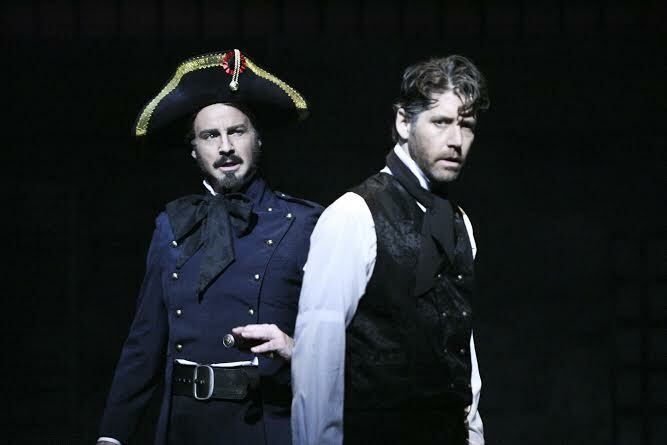 Randall Dodge as Inspector Javert thrilled the audience in what was probably his Los Angeles area debut. This reviewer has been lucky to view him in several productions a year for the past nine years in San Diego County. Dodge’s powerful voice made Javert’s solos “Stars” and “Soliloquy” real show stoppers. 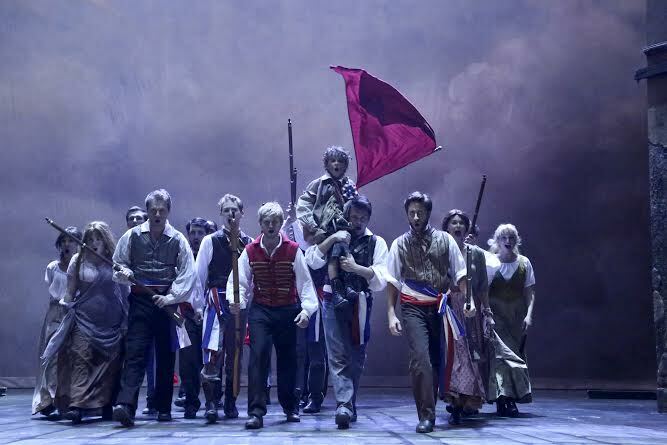 American Idol’s Season 4 fourth place finalist Anthony Fedorov makes an impressive Enjolras, his stout voice whipping up the revolutionary fervor of the Parisian students. 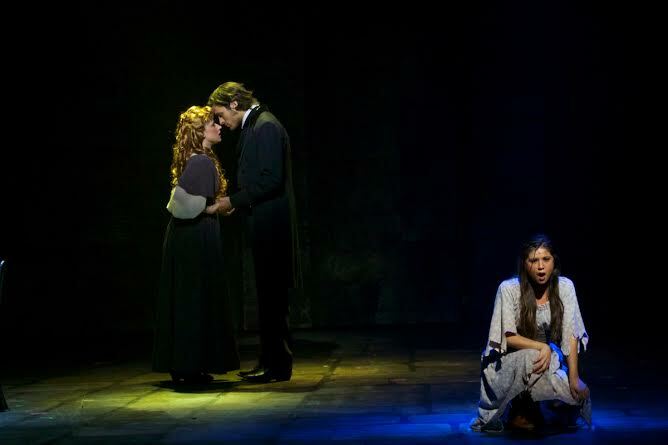 Kimberly Hessler is probably the best Cosette this reviewer has ever encountered. I’ve always found the role vapid and uninteresting but Hessler brings a deeper poignancy to the role as well as a lilting soprano. Nathaniel Irvin’s Marius gets better as the show progresses and his interaction with Hessler is magic. Jeff Skowron and Meeghan Holaway as the greedy and villainous Thenardiers add much needed comic relief to the proceedings. Also standing out are Cassandra Murphy as Fantine and Valerie Rose Curiel as Eponine. Jude Mason, grandson of producers Tom McCoy and Cathy Rigby, proved to be a real crowd pleaser as pint-sized Gavroche. Even in a production with all these superlatives, there are a few problems. The main one being Cliff Simon’s scenic design. I missed the usual turntable that gave a cinematic flow to the scene changes. Here the set pieces are rolled on and off when needed and are very minimal. The main problem is the two homes/storefronts that flank the playing space—they don’t always fit the location of the scene, especially the opening chain gang sequence or just about any interior scene. This really becomes a major problem with the scenes at the home of the secretive Valjean and Cosette in the second act. What should be a safe and secure residence seems to be open to anyone in the neighborhood or else Cosette spends a lot of time sitting out in the street. The barricade is also a disappointment, looking like it wouldn’t last an hour against armed troops. This is one show you won’t come out of humming the set so thankfully there is all that great music to hum. La Mirada Theatre for the Performing Arts, 14900 La Mirada Blvd. in La Mirada. Ends June 22. 562-944-9801 or 714-994-6310 or www.lamiradatheatre.com.